Congratulations go out to Damian Nunn and Les Mitchell from Pitkin and Ruddock for their achievement in the Arc to Ark, Paris to Chelmsford cycle challenge. East London Grocer, Kacha Bazar switch from using R-404A refrigerant to R-449A XP40. New Climalife case study appears in RAC magazine September 2018. 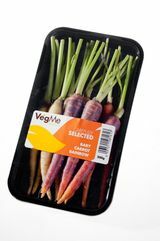 Refrigerant case study in the Food and Drink production sector - featuring in ACR Journal this month. How switching to a 'green' refrigerant in the disgorging pool prompted the installation of a new cooling system using Solstice N40 (R448A) at France's CRVC co-operative, producer of Castelnau champagne. Did you know? Half of UK drivers set the air con temperature at 17 degrees or lower. 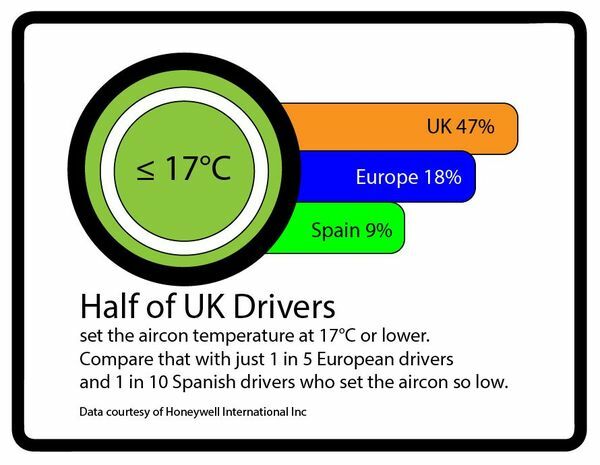 Compare that with just one in five of European drivers and a mere one in 10 Spanish drivers who set the air con so low. Mauritius-based Proxifresh chooses Greenway® Neo Heat Transfer Fluid from Climalife for its energy efficiency and eco-friendliness.